The deal to cut 1.2 million barrels a day takes effect from January 1, but has already sent prices surging on oil markets. OPEC members and 10 other oil producing nations agreed Friday to cut output by 1.2 million barrels a day in a bid to boost prices. Energy ministers reached the deal -- which takes effect from January 1 but has already sent prices surging on oil markets -- after two days of talks at OPEC headquarters in Vienna. "We'll cut 1.2 million bpd total," Iraq's Oil Minister Thamer Abbas al-Ghadhban told reporters after a meeting in Vienna. He said the amount -- equivalent to just over one percent of global production -- would comprise an 800,000 bpd reduction by the 14 members of OPEC and 400,000 by the 10 non-cartel partners, including Russia. OPEC and its partners, which together account for around half of global output, agree that a glut in the market had led to oil prices falling by more than 30 per cent in two months. Friday's deal does not however include Iran, which had demanded an exemption from any production cuts to take into account the effects of punishing US sanctions on its energy sector. "Officially Iran is exempted from this resolution," UAE Oil Minister Bijan Namdar Zanganeh said. The price of Brent crude, the European benchmark, surged five percent on Friday after reports of the deal emerged. But some said the reduction may not be enough to keep oil prices buoyant. "I would describe the cuts as close but not close enough with regards to eliminating the global oil glut," said Stephen Brennock, oil expert at London brokerage PVM. "A combined reduction of 1.5 mbpd was needed to avoid a supply surplus in the first half of next year," he told AFP. "Accordingly, the price outlook for the coming few months still remains skewed to the downside despite today's knee-jerk reaction." The deal was announced after Russian Energy Minister Alexander Novak held bilateral meetings with several counterparts, including Iranian Oil Minister Bijan Namdar Zanganeh before the full meeting. However, the major players all had their own reasons to look to others to act first and the details of how any cuts will be shared out will be key. For Russia, which leads the non-member countries in the so-called OPEC+ alliance, "it's much more difficult to cut than for other countries, because of our climatic conditions," Novak said on Thursday. OPEC Kingpin Saudi Arabia, meanwhile, had to bear in mind pressure from the United States after President Donald Trump demanded in a tweet on Wednesday that the cartel boost output so as to lower prices and help the economy. The kingdom's diplomatic position however has been badly weakened by the furore over the killing of Saudi journalist Jamal Khashoggi. Trump insists he will stick by Riyadh despite the outrage but he has been also ramping up the pressure for more oil. Saudi Energy Minister Khalid Al-Falih insisted Thursday that "we don't need permission from anyone to cut" production. Iran, Saudi Arabia's geopolitical rival and OPEC's third-largest producer, had suggested it is in favour of deeper cuts -- despite its demand for an exemption. 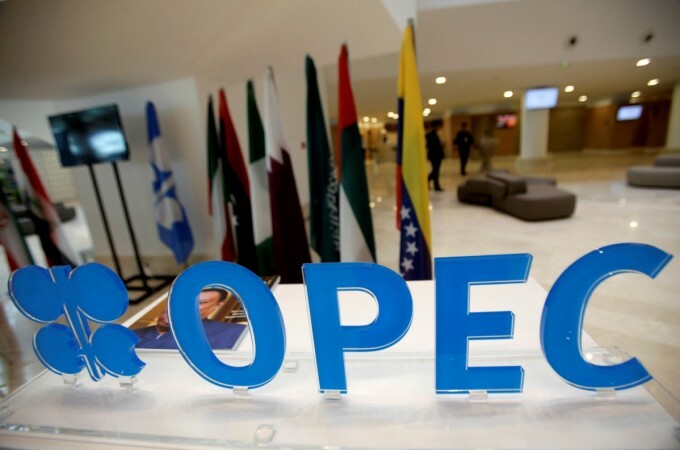 In June, OPEC and its partners agreed to allow for a boost in production by Saudi Arabia and Russia to compensate for the expected losses in output from Iran after the US dramatically withdrew from the Iran nuclear deal in May and decided to re-impose tough sanctions. However, the US then granted temporary waivers to eight countries, including crucially China, to allow them to carry on importing Iranian oil, contributing to a plunge in oil prices which wiped out the gains seen since early 2017.